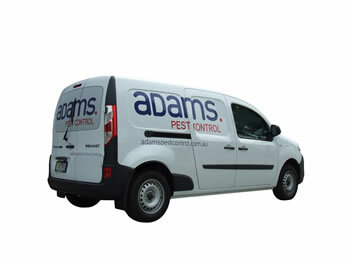 At Adams, we deal in the control of all kinds of pests and insects including rats, mice, ants, cockroaches, spiders, fleas, termites, wasps, bees, silverfish, possums and stored product pests. If your particular pest isn’t on this list, just give us a call – chances are we will be able to handle them too. Our primary areas of operation cover both the greater Melbourne and Adelaide regions. Domestic services are generally confined to the capital cities, while our commercial pest control is carried out statewide. Customer satisfaction is important and we guarantee to control your pest problem quickly, safely and in an environmentally friendly manner. You can then continue doing the things you enjoy without the burden of insects and rodents affecting your business.